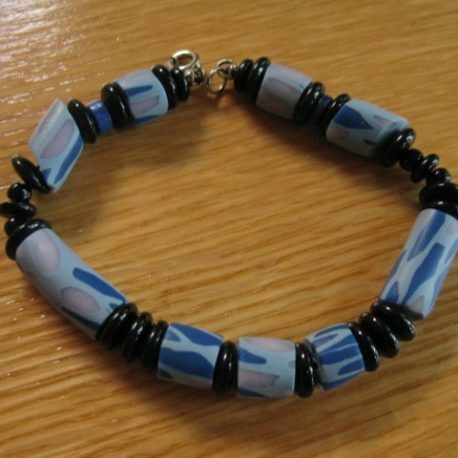 The beads in this bracelet are made from polymer clay in navy, translucent lllac, and pale blue-grey, in a pattern that resembles a stone wall or a honeycomb. 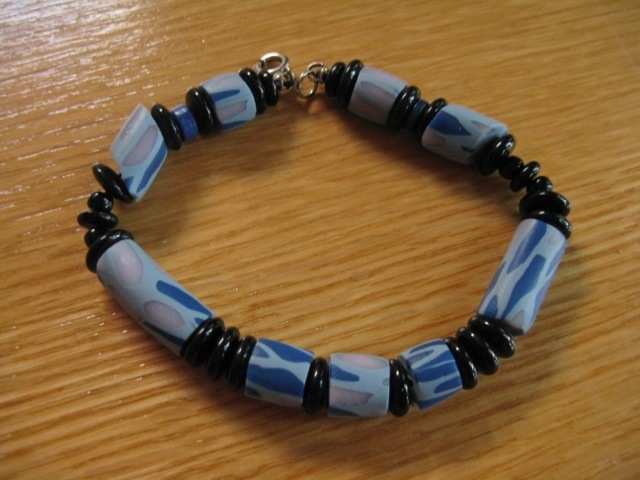 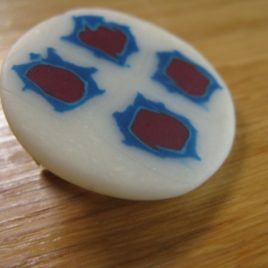 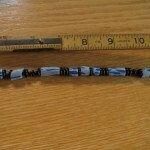 The polymer clay beads are accented with black glass. 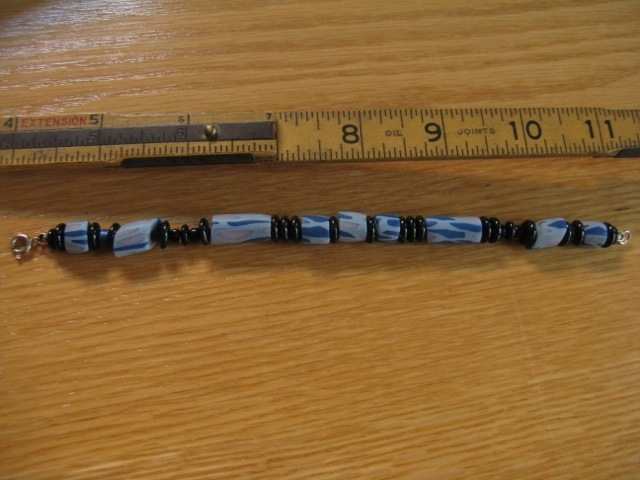 This bracelet coordinates with the Stone Wall earrings.